Looking for something to please your little explorers? Rocket Ship Play Tent is a great choice to encourage a kid’s imagination and promote active playtime. This tent in the shape of the colorful rocket makes a perfect solution both for indoor and outdoor entertainment. Thanks to the breathable design with a roll-down door and two mesh windows, this tent is ideal for playing with friends. 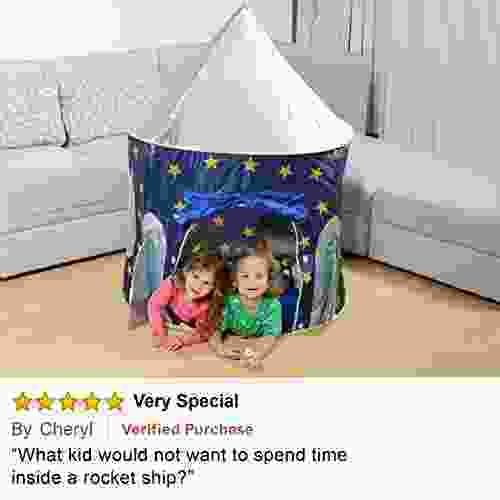 Let’s go to the intergalactic journey with Rocket Ship Play Tent by the manufacturer USA Toyz. The vivid appearance with starry-sky panels and rocket fins is able to grab all children’s attention and give them hours of exiting playing. Is created with kids in mind, this play tent makes a perfect area for your little one. The large inner space and roll-down door will help your daughter or son have their personal area inside your house. 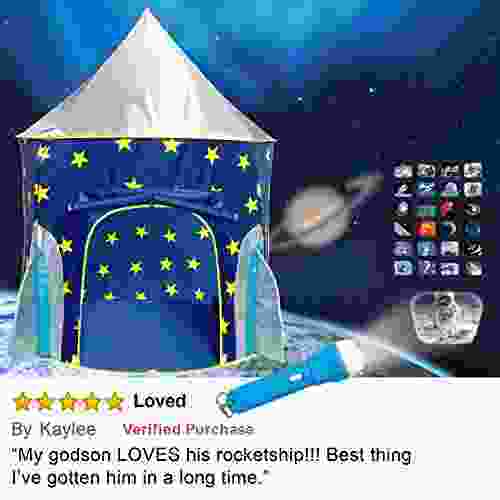 Rocket Ship Play Tent is what you have been looking for your toddler or growing up. 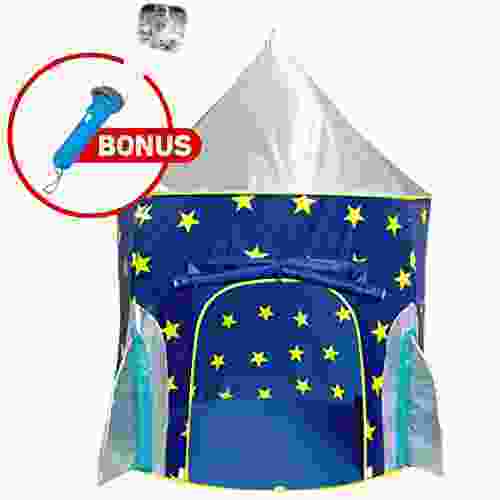 This play tent comes with space light projector and 3 sets of space slides, therefore makes a complete gift for your little ones or kids of close to you people. Choose it for boys and girls ages 2 and up. The spacious interior of the tent comfortably fits 3 kids. If your loved kid inspired by stars and space, don’t let his imagination fade away. Rocket Ship Play Tent with the set of astronaut toys helps you to support the interest of your little one. 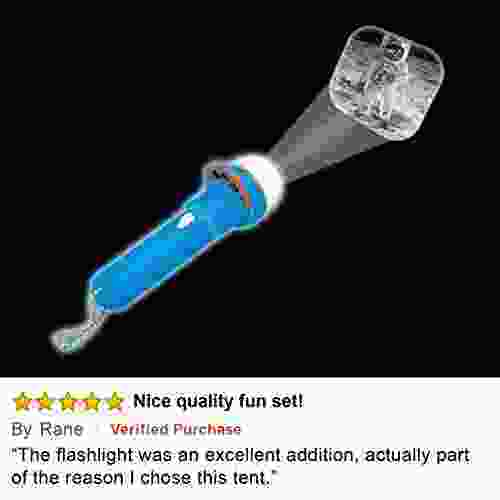 Just unfold the tent, using the poles, and the personal rocket is ready to fly. The light torch and NASA inspired pictures will help your kid to follow the right way. 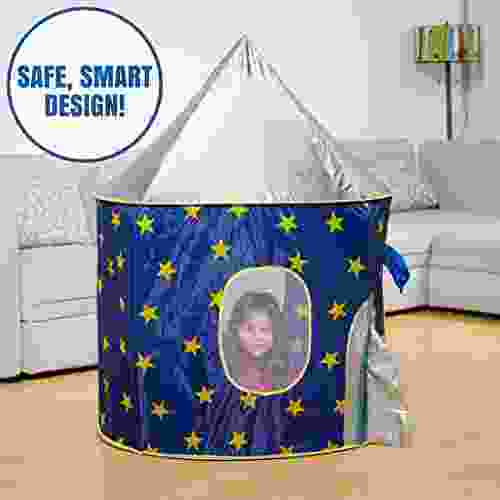 Play Tent by manufacturer USA Toyz is a perfect choice both for home or backyard use and even for travel. 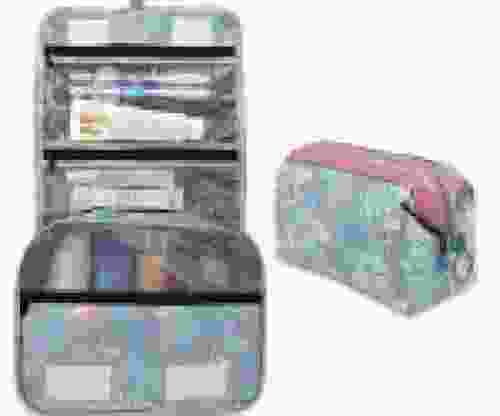 Thanks to the easy unfolding it does not need any tools. 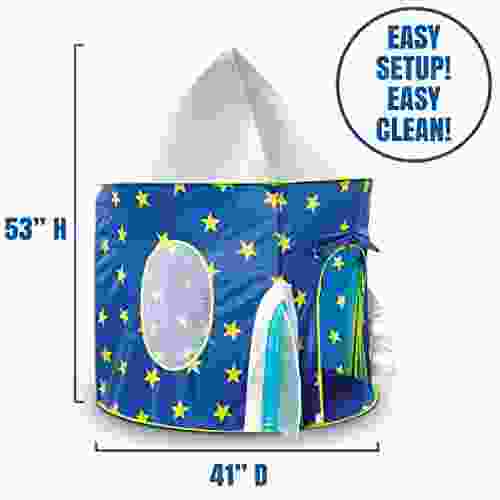 The handy storage bag makes it ideal for drawer cabinet in the children’s room or car trunk.